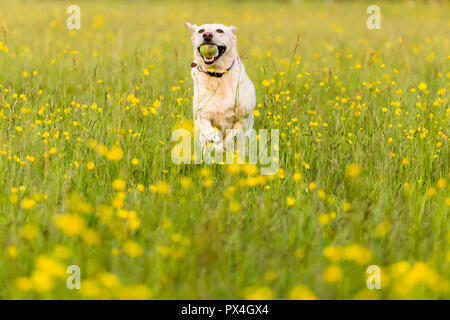 Yellow labrador fetching ball in a field of buttercups. 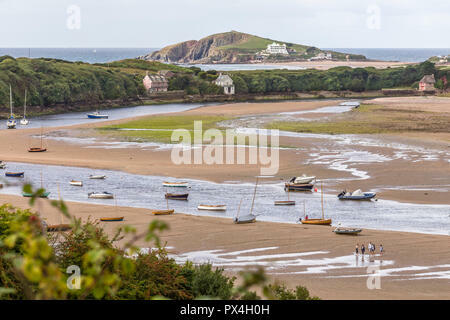 Burgh Island viewed from estuary near Bantham, South Hams, Devon. 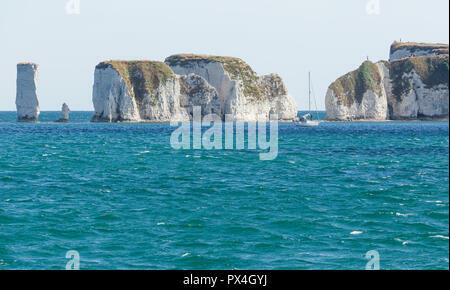 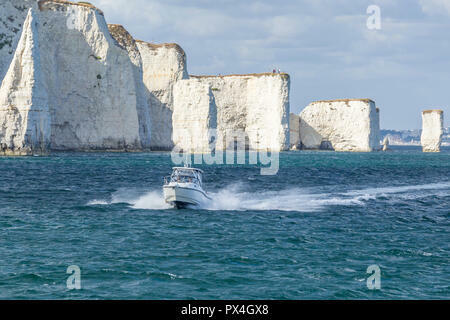 Speed boat at Old Harry chalk cliffs on Jurassic coast, Dorset. 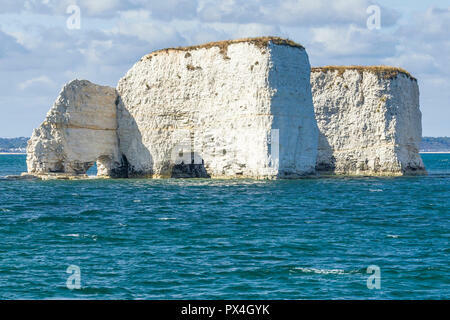 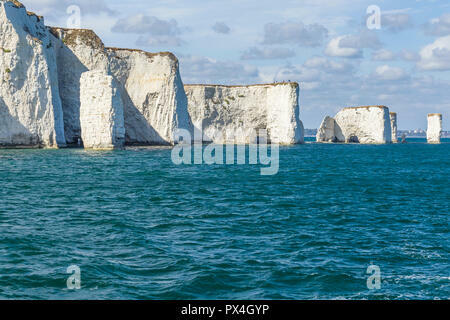 Old Harry chalk cliffs on Jurassic coast, Dorset. 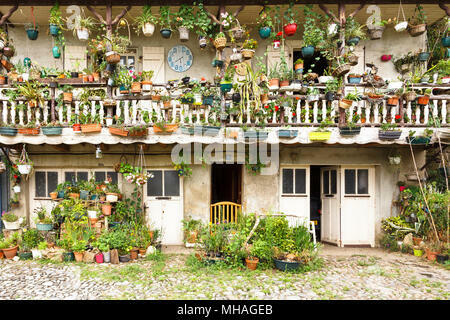 Facade of French house and balcony covered in flower pots and hanging baskets. 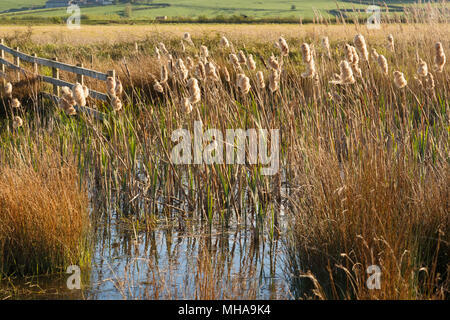 Bulrushes at Steart Marshes, Sedgemoor. 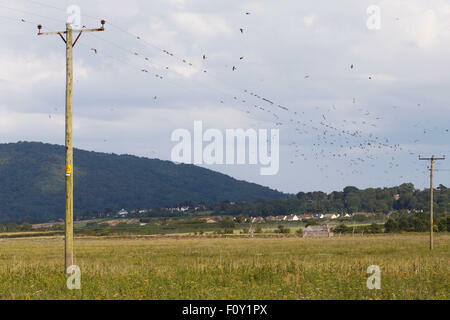 Wetland saltmarsh, developed by the WWT in Somerset. 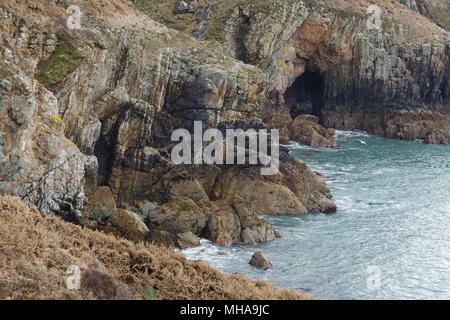 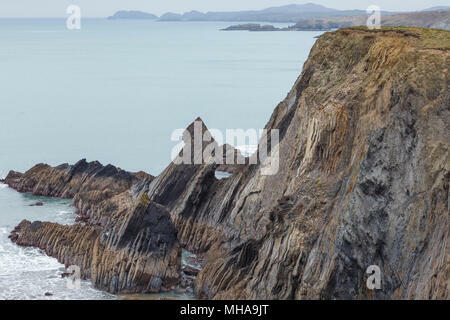 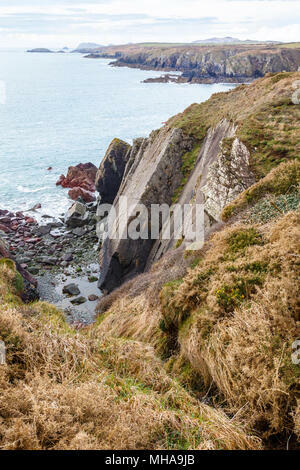 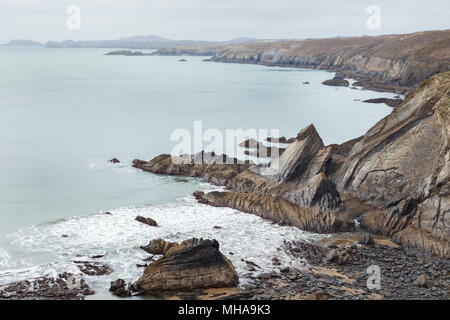 Moody coastline of Pembrokshire, Wales, seen from coast path. 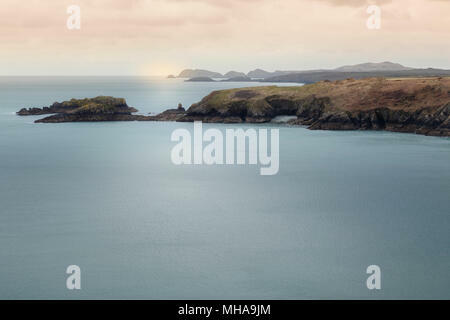 Moody light on sea and coastline of Pembrokshire, Wales, seen from coast path. 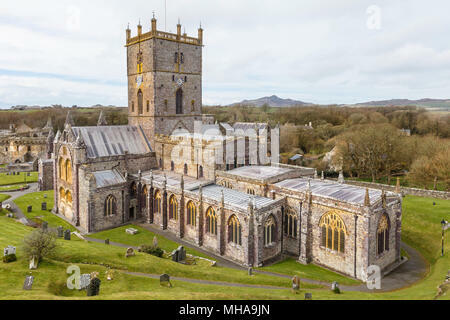 St David's Cathedral, in St Davids, Pembrokeshire. 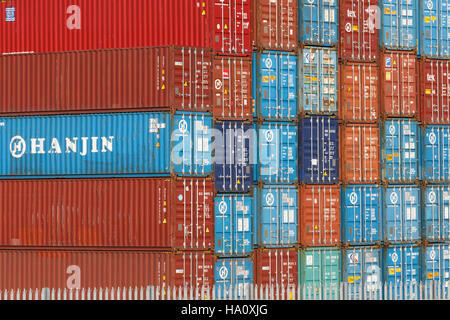 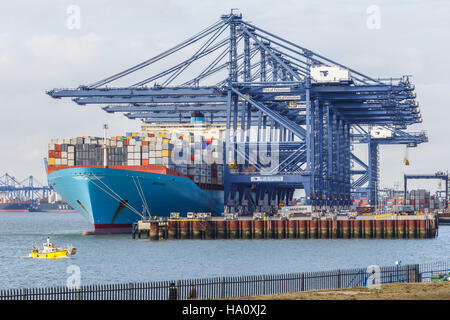 The smallest city in the UK..
Loading / unloading container ship at Felixtowe port. 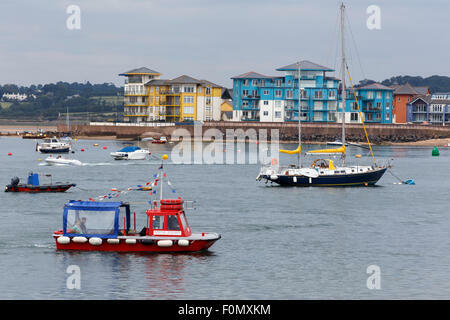 Tug boat near ship. 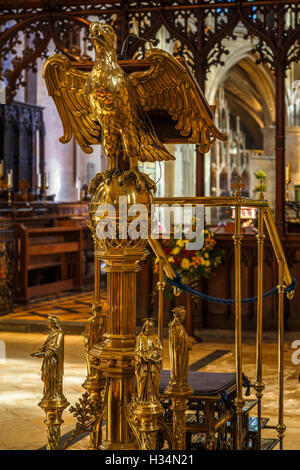 Church lectern in Tewkesbury Abbey. 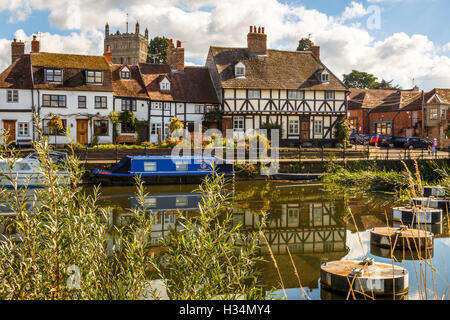 Timber framed houses next to the Mill Avon at Tewkesbury. 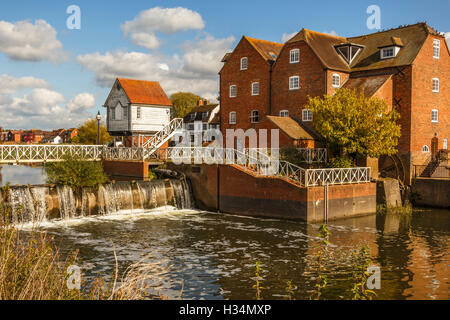 Abbey Mill, or Fletcher's Mill, on the Mill Avon at Tewkesbury. 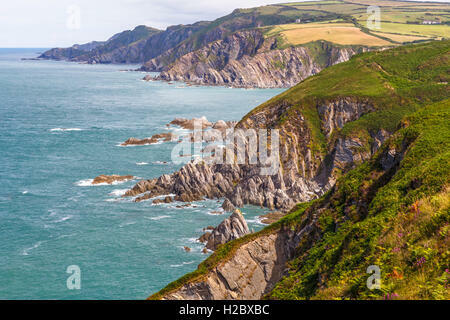 View from Bull Point, looking towards Lee bay. 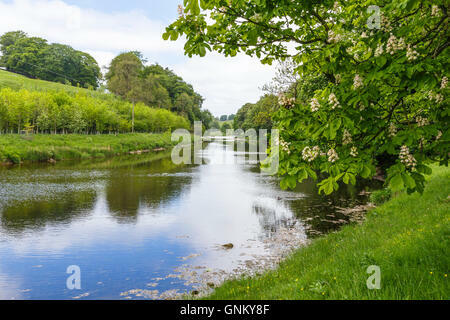 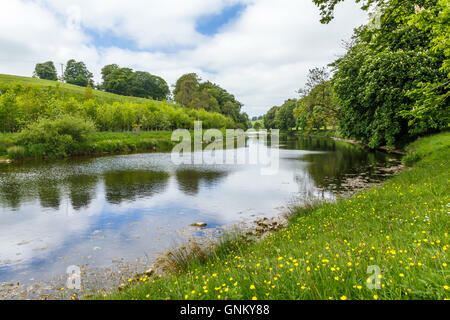 River Wharfe, near Hebden, Yorkshire. 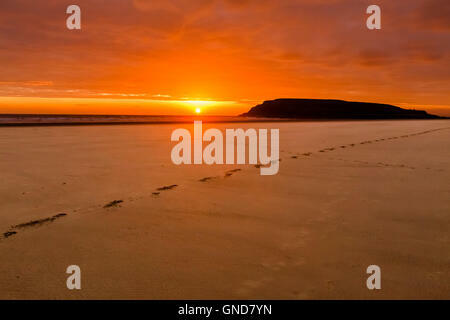 Sun setting behind Burry Holms, from Rhossili Beach. 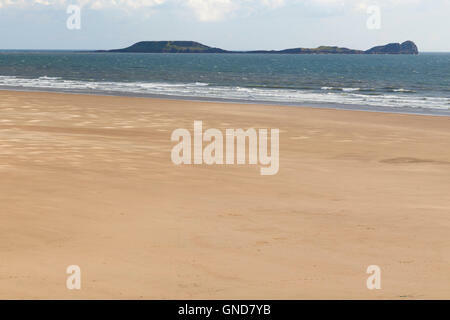 The Worm's Head viewed from Rhossili Beach. 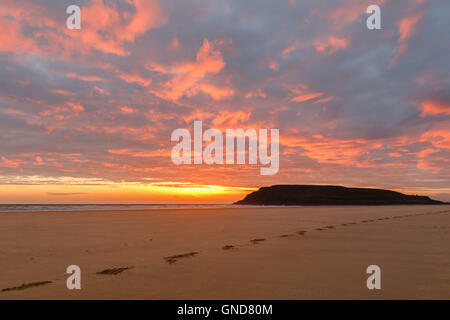 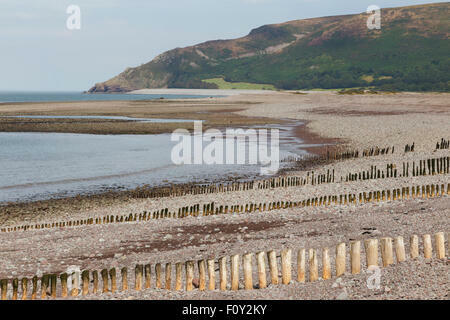 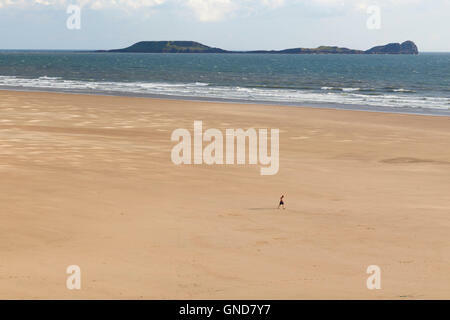 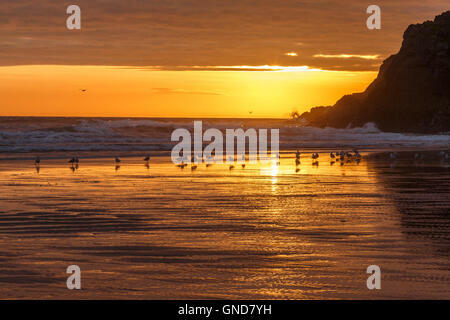 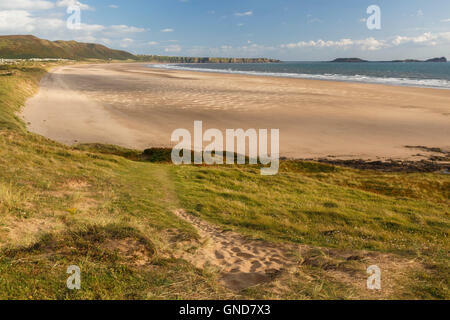 Rhossili Bay, 3 miles of sandy beach on the Gower peninsula of Wales. 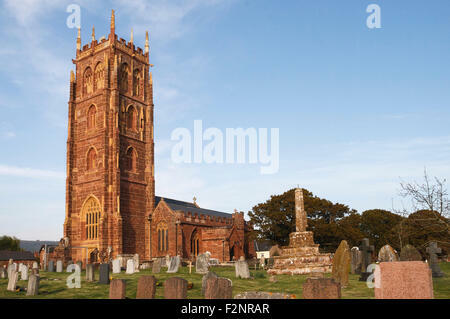 St. Mary's church in Bishop's Lydeard, Somerset. 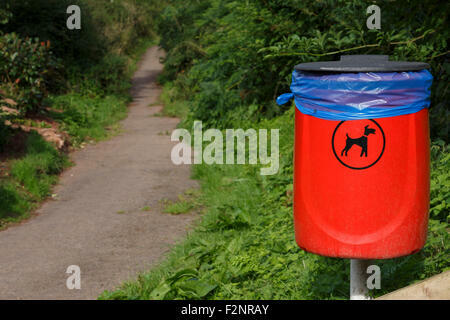 Dog poo bin on footpath. 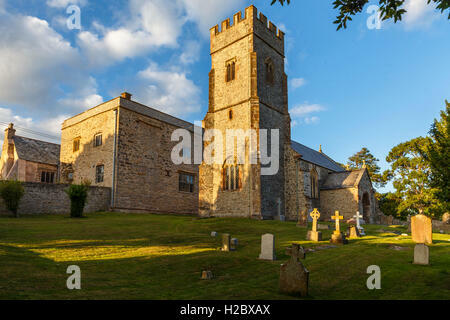 St Thomas of Canterbury church at Cothelstone. 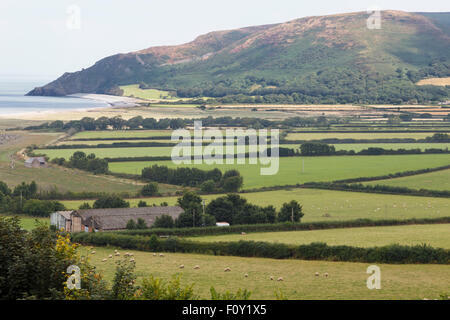 The church is situated just behind Cothelstone manor. 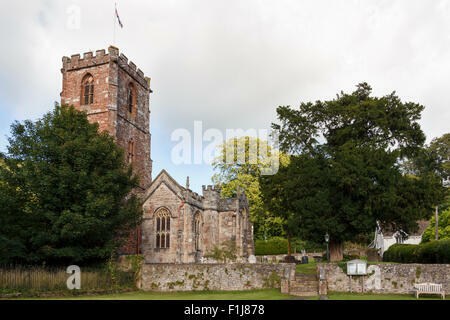 'The Church of the Holy Ghost' Crowcombe, at the foot of the Quantock Hills. 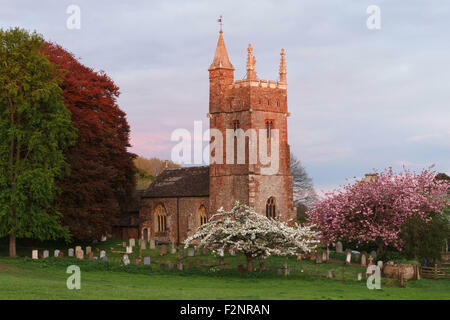 'The Church of the Holy Ghost' Crowcombe. 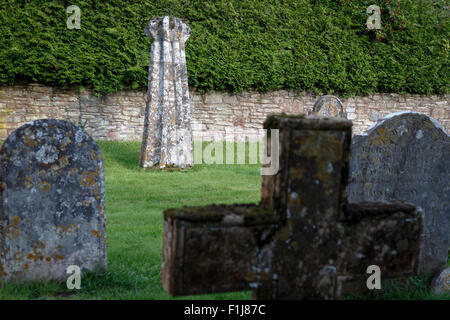 In 1724 the church was struck by lightning, spire top is now in the churchyard. 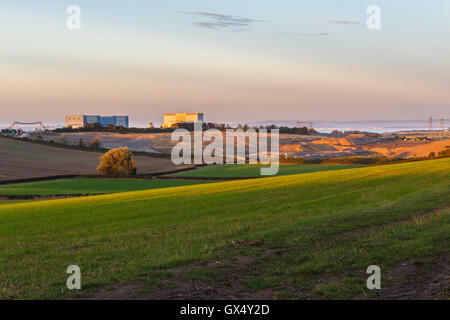 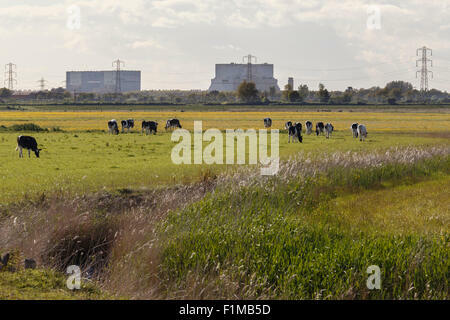 Hinkely Point nuclear power plant. 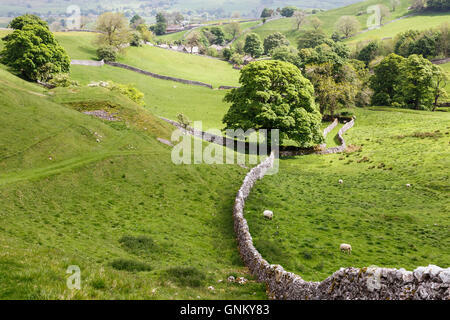 A station to the left, B station to the right. 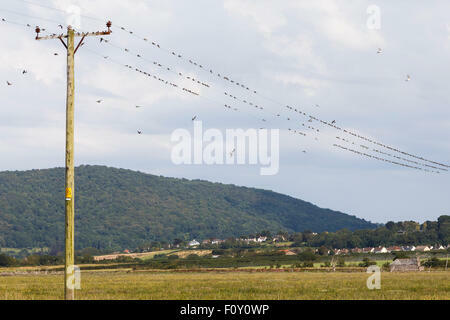 From Steart salt marsh nature reserve. 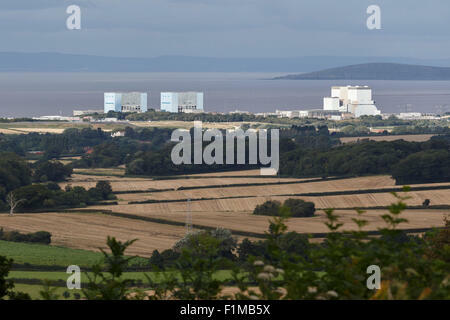 Hinkely Point nuclear power plant. 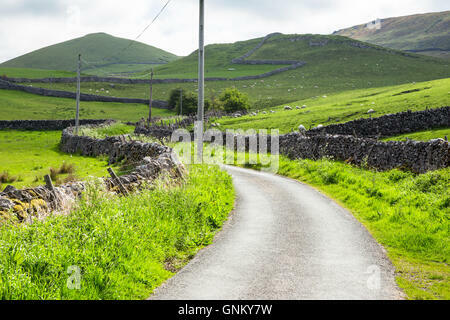 A station to the left, B station to the right. 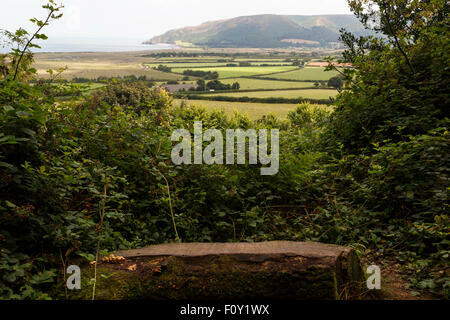 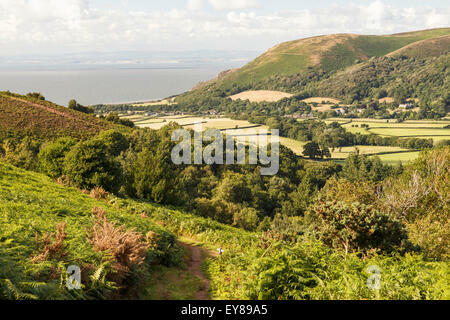 Viewed from the Quantock Hills. 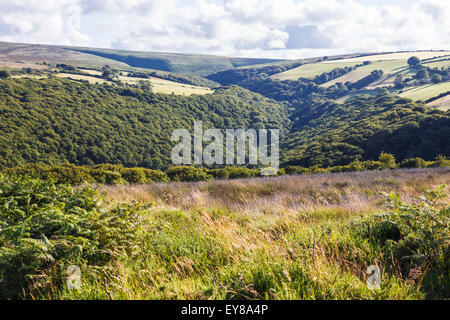 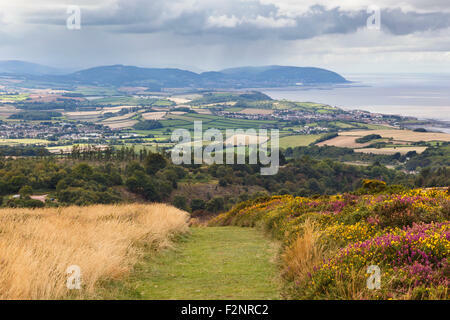 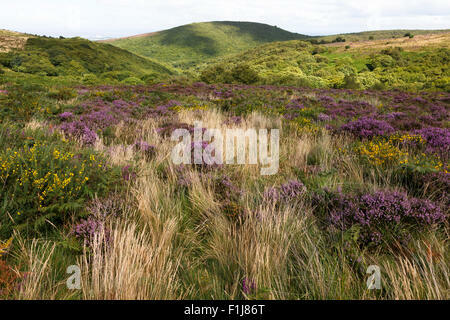 View across the maritime heathland of the Quantock Hills, with Dowsborough (or Danesborough) iron age hill fort in background. 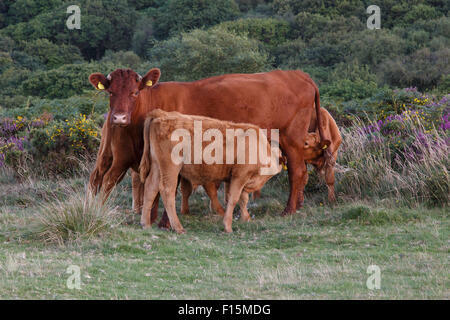 Red Ruby Devon cow suckling calves, free range on Quantock Hills, Somerset. 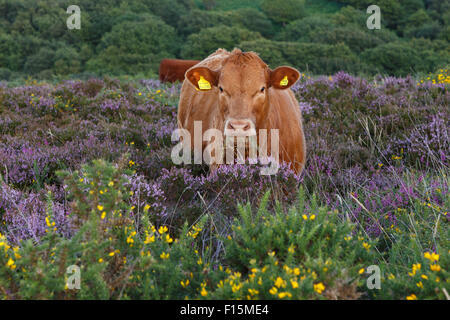 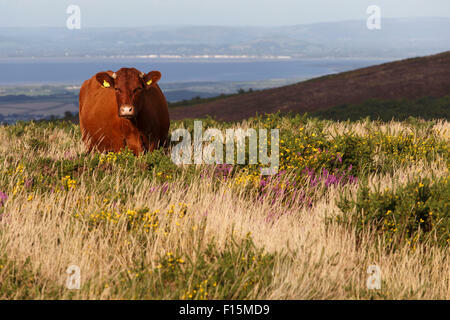 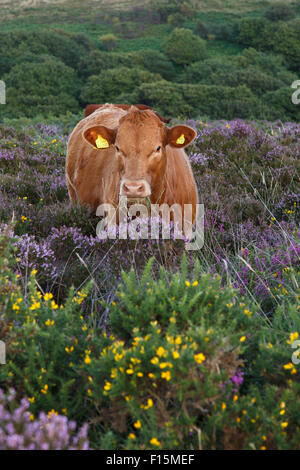 Red Devon cattle grazing, free range, on the Quantock hills. 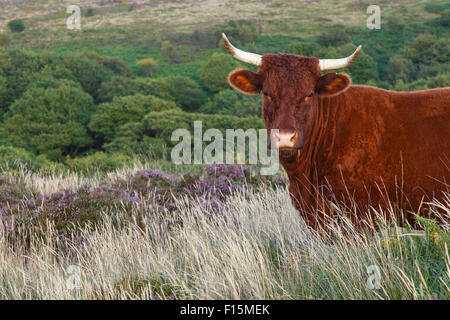 Devon red calf free range on the Quantock Hills, Somerset. 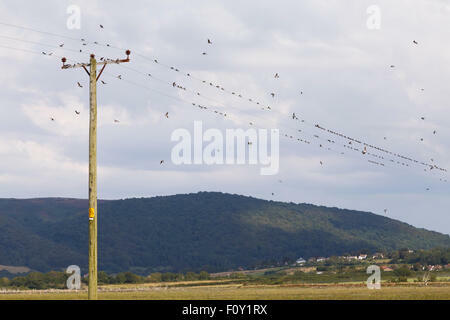 House martins gathering on electricity wires, in preparation for migration. 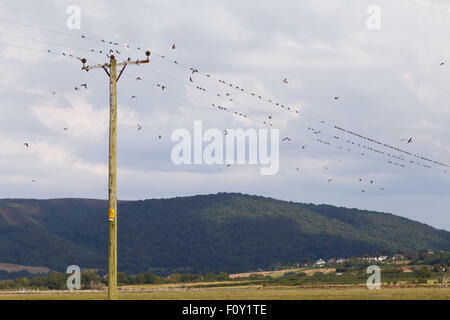 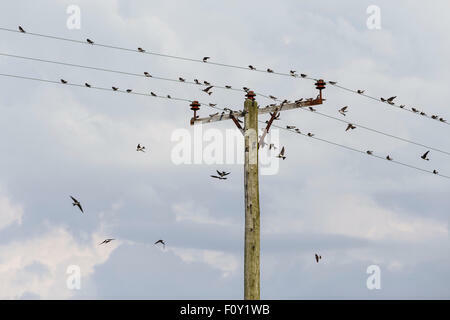 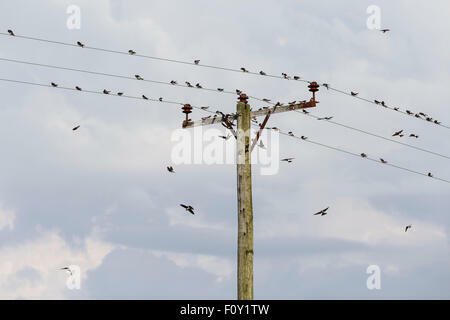 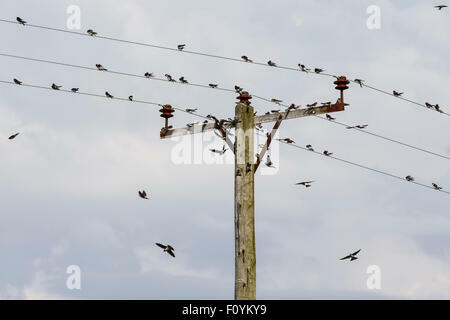 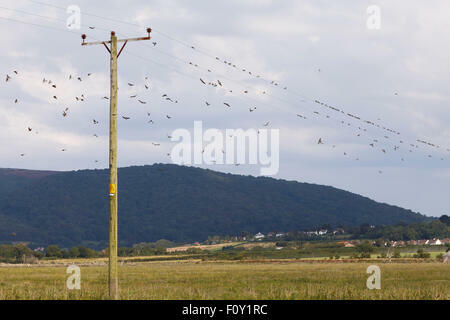 House martins gathering on electricity poles, in preparation for migration. 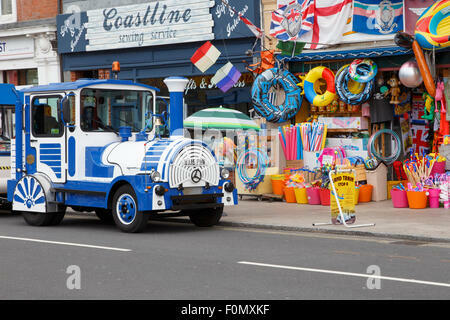 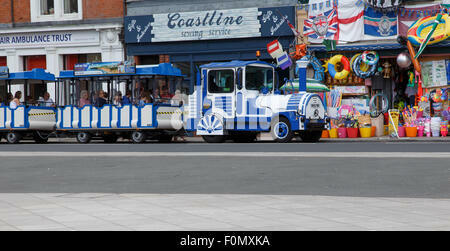 The 'land train' tourist ride in Exmouth, stopping outside a beach shop. 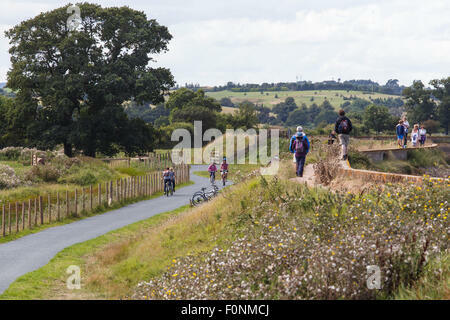 Cyclists and walkers on the river Exe trail and Coast path, west side of the river. 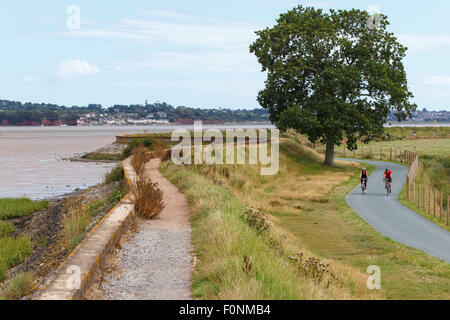 Cyclists on west side of river Exe trail and Coast path, heading north. 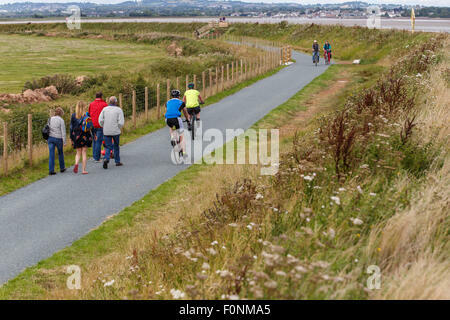 Cyclists and pedestrians on the River Exe trail and Coast path. 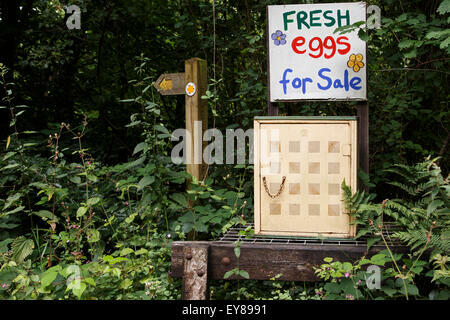 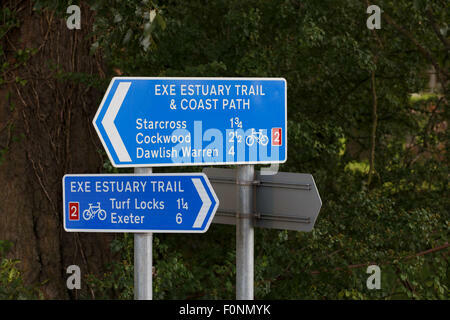 Sign on the Exe Estuary Trail and Coast path, a cycle path and footpath along the banks of the river Exe. 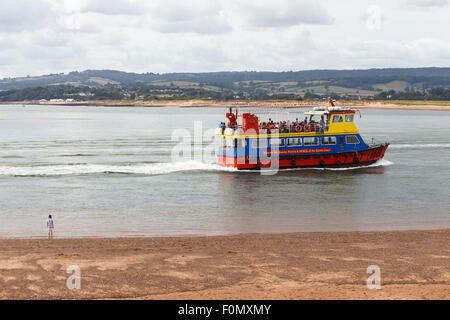 Passengers alighting from 'water taxi' at Dawlish Warren. 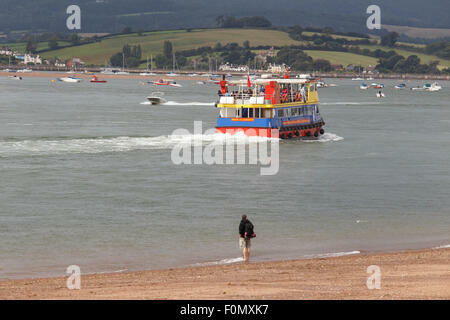 Boat picking up passengers for return trip to Exmouth (in background). 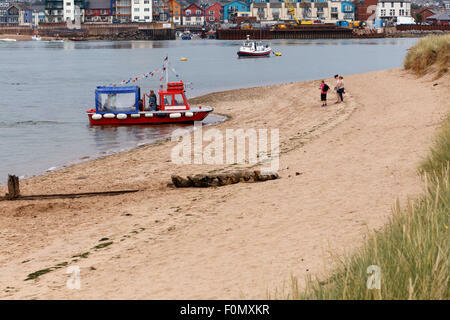 'Pride of Exmouth' ferry, watched from beach by man, cruising into mouth of the river Exe. 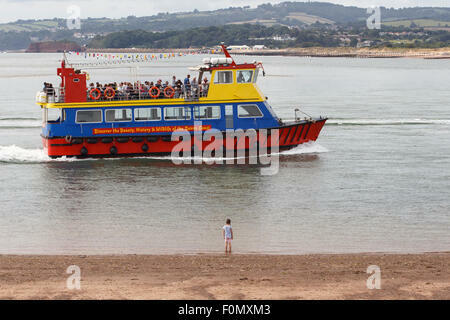 'Pride of Exmouth' ferry being watched from beach by a small girl. 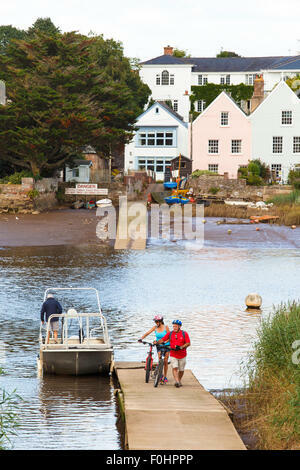 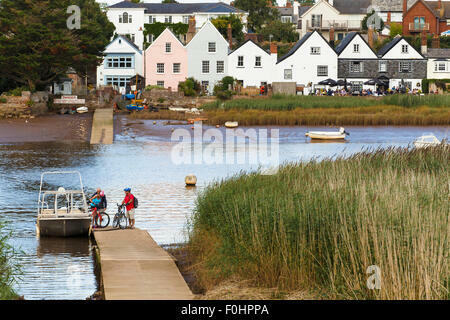 Mature couple disembarking from small ferry across river Exe at Topsham in Devon. 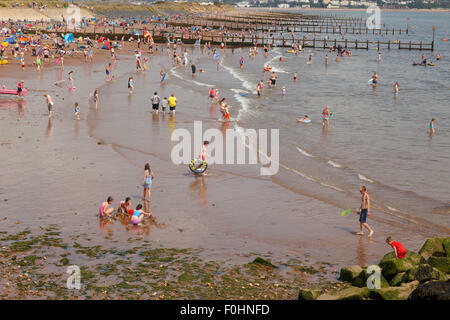 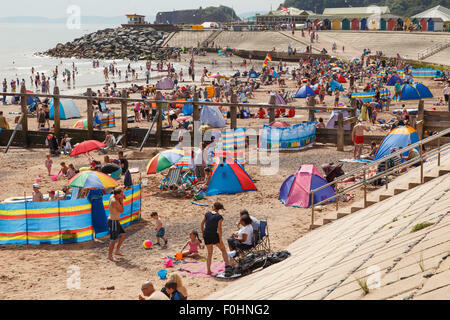 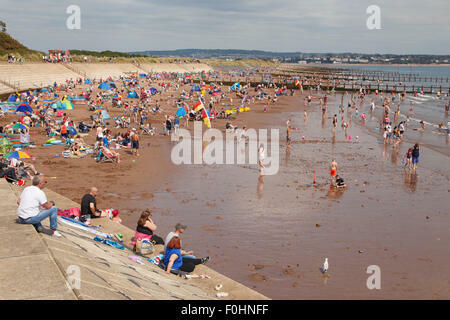 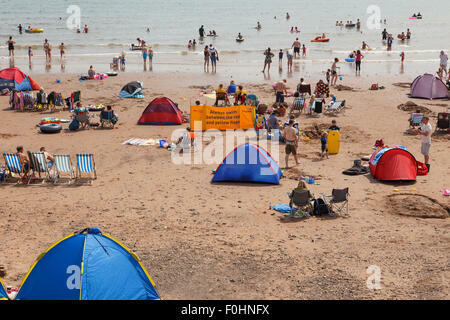 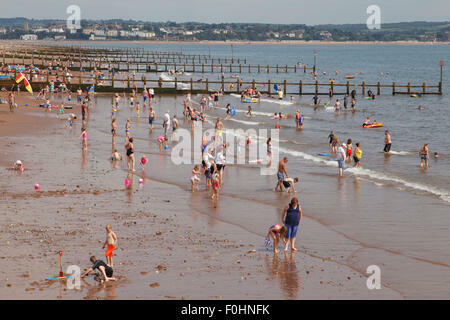 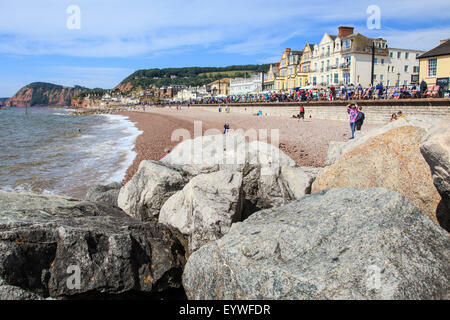 Beach holiday - crowded beach at Dawlish Warren, Devon. 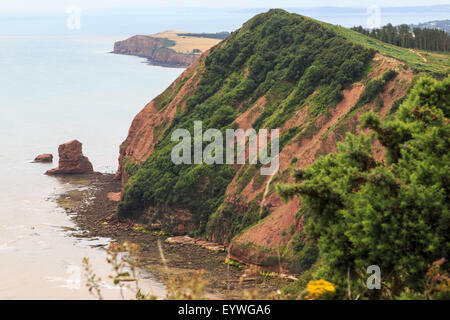 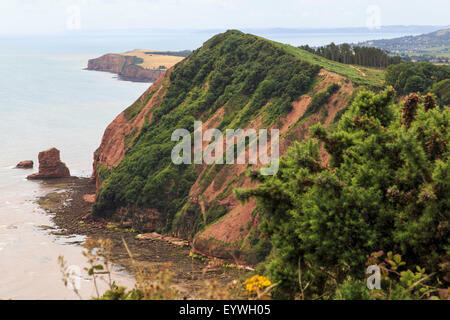 Hern Point Rock from High Peak, on the South West Coast Path, just above Sidmouth and looking towards Ladram Bay. 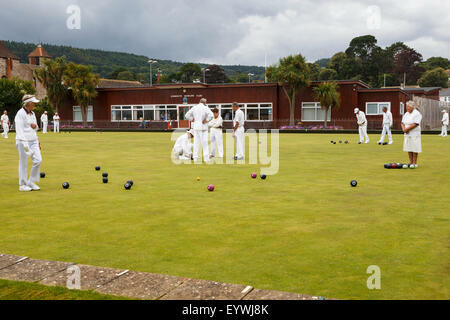 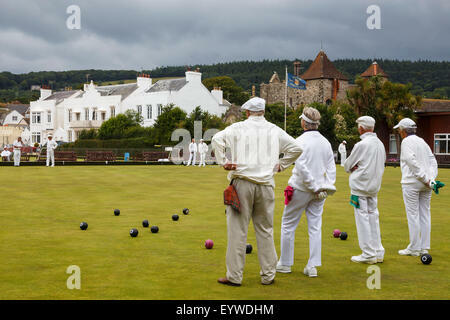 Senior men and women of Sidmouth Bowls Club playing bowls. 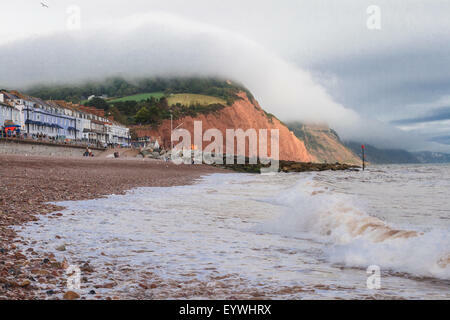 Sea front at Sidmouth, clouds rolling across cliff tops. 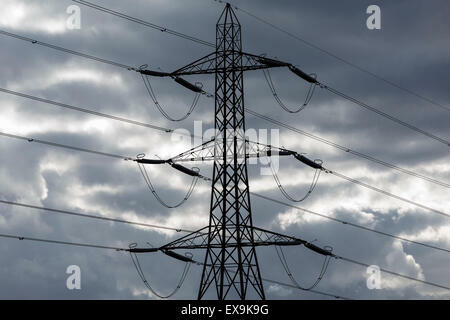 UK lattice pylon silhouetted against dark, brooding sky. 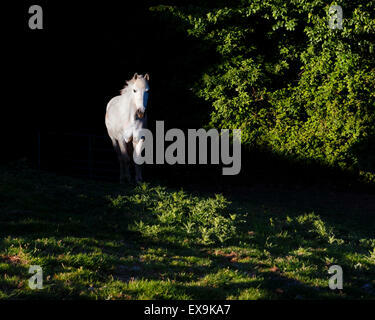 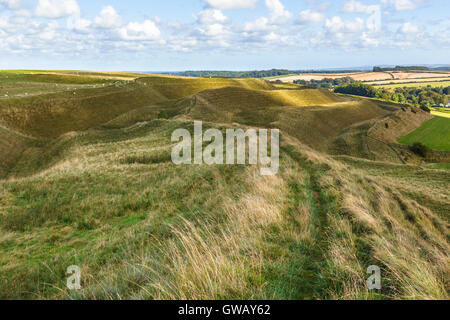 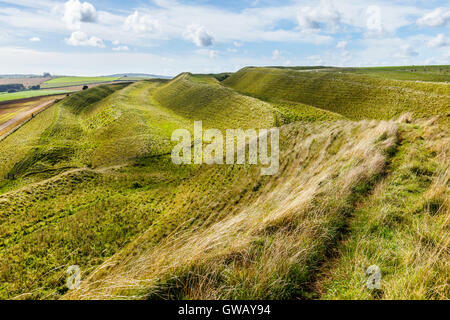 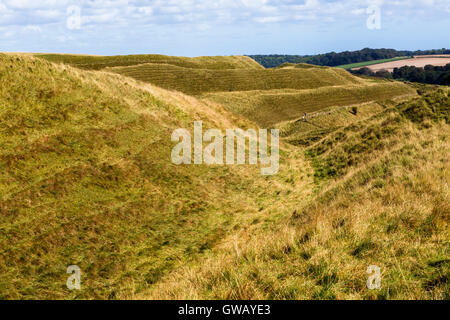 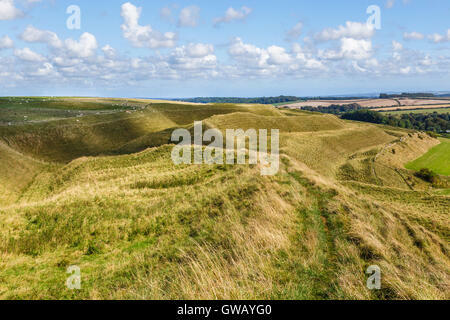 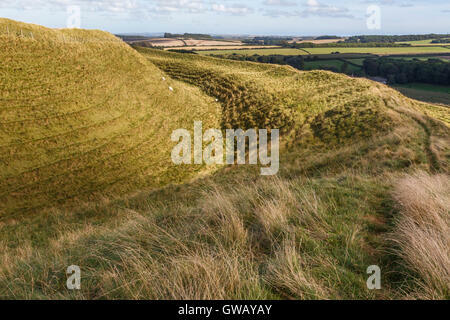 White horse in evening light, standing in deep shadow. 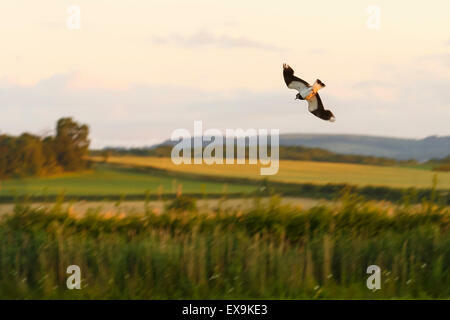 Lapwing flying over Steart Salt Marsh on a summer evening. 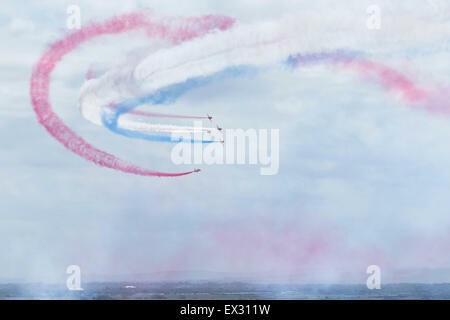 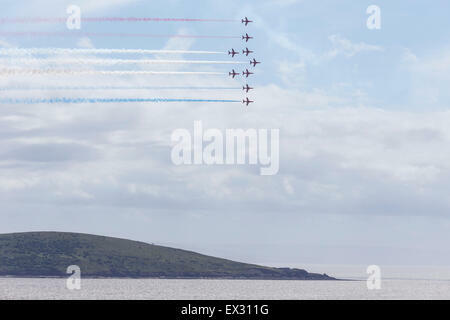 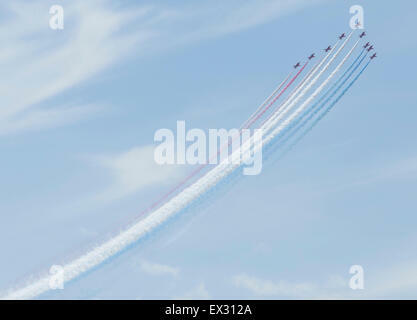 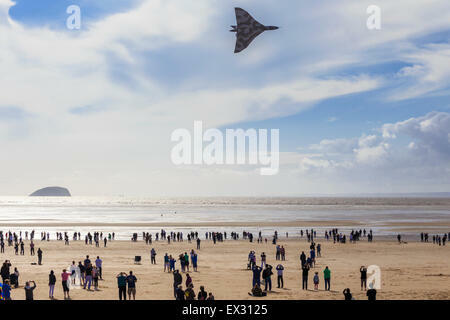 The last flying RAF Avro Vulcan XH558, performs aerobatic display at Weston super Mare during its final flying season. 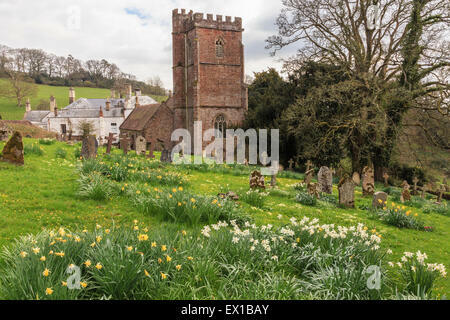 St Pancras church and church yard, West Bagborough, during spring. 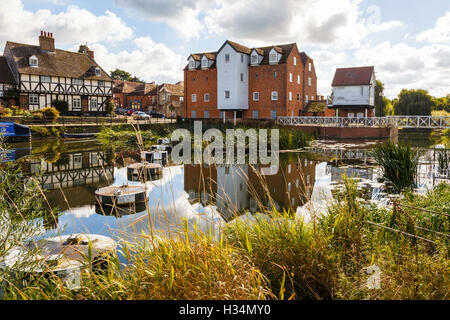 Manor house in background. 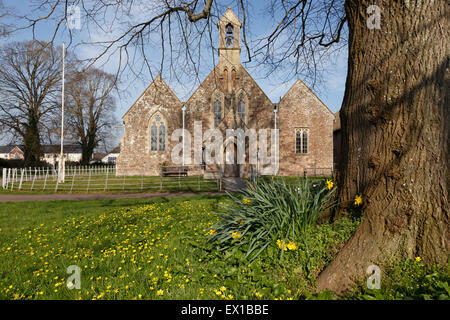 St Peter's Church of England church in Williton during springtime.